Buying a diamond is often a very personal experience. Diamonds can be bought to signify love, significant accomplishments, or milestones in your life or that of a gift's recipient. 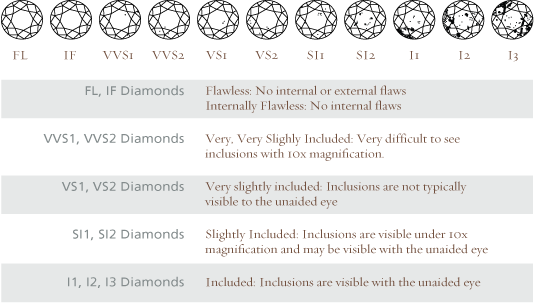 Unlike when you buy clothing, electronics, or cars, the features of a diamond may not seem quite so obvious to you. At Freeman & Foote Jewelers, we would like to change that. The more you know about your diamond jewelry, the more confident you will feel when making your diamond jewelry choices. Take a moment to learn more about the 4Cs and find out how they play a an important role in making your diamond jewelry unique.